So I just launched a Statamic site for a non-profit that sells tickets and takes donations. The ecommerce part is being handled by Bison ( which, btw is awesome, as is the support Jason brings). Since it uses Stripe to handle the payment, i had to enable https and get a cert installed. So far, so good. 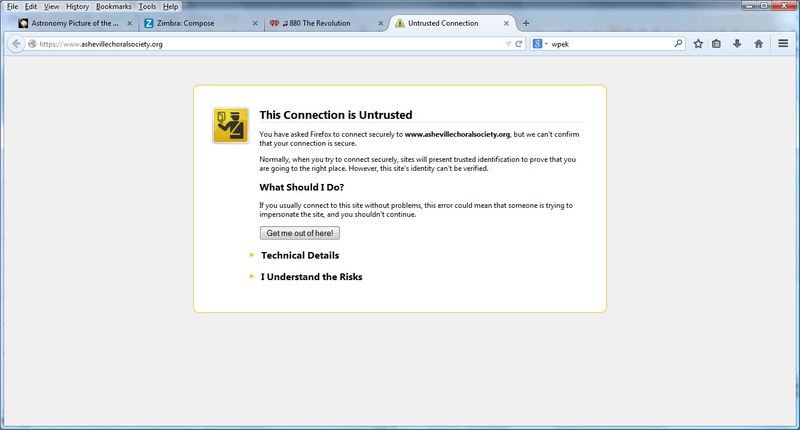 However, when the live site is accessed by Firefox browsers, a security warning is seen like so . So it appears that the Firefox objection is due to mixed http and https content being served up on a single page. Any .htaccess or Statamic wizards out there who can tell me how to serve up all the content as https? Answered by Clay Harmon! Go to answer.